This sector stands tall among the top nine companies influencing the resurgence of the national economy since the 2008 global economic crisis, according to recent findings. 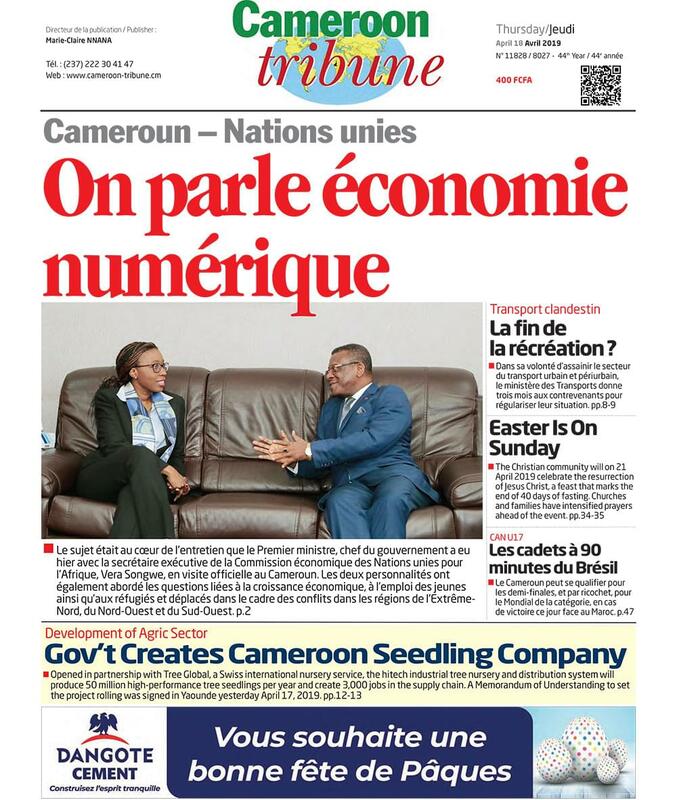 Some nine Cameroonian companies feature among the top 500 companies on the African continent in a recent classification by renowned pan African magazine, Jeune Afrique; namely, the National Hydrocarbons Corporation (SNH), National Oil Refinery Company (SONARA), Tradex, SA Brasseries du Cameroun, ENEO, MTN Cameroon, Groupe CFAO Cameroun, Congelcam and the Special Council Support Fund for Mutual Assistance (FEICOM). The turnover of SNH as of 2016 stood at about FCFA 5,760 billion; that of SONARA recorded a little over FCFA 5,455 billion while Tradex registered about FCFA 2,347 billion. The turnover of the top three hydrocarbon companies nationwide stood at a cumulative sum of FCFA 13,562 billion. The performance of the companies, like others on the list of 500, represent a resumption of growth as economies they all witnessed decline in turnover from 2012 as a result of the global economic shocks. Going by the Jeune Afrique, the performance also represents indicators of growth in the Gross Domestic Product (GDP) of the country, reflected in that of the entire continent that rose by 2.2 per cent in 2016 according to statistics from the International Monetary Fund. Jeune Afrique noted that its findings also show the growth of Africa’s gross domestic product is back on track. Note however that 2016 was a difficult year for fuel-dependent economies in Africa. Nevertheless, the hydrocarbons sector still constituted as much as 20 per cent of the cumulative turnover of all the 500 companies that figured on the Jeune Afrique classification. For instance Algerian hydrocarbons company, SANATRACH which is number one on the list with a turnover of about FCFA 168,678.9 billion; witnessed a 16 per cent drop in its exports.